It sure is hard to see that something wonderful in me. Thanks for this article, it struck home in many ways. A dear friend lives near Yarnell, and was the first to tell me of the tragedy, even as her car was packed and positioned for a quick evacuation is the fickle fire came too close. A week later, from the porch where I am staying, a huge fire broke out on the horizon. Just before the Lord sent the rains that would give the firefighters a leg up to douse the nearly 30,000 acre blaze, I viewed 250′ tall flames devouring the landscape, at one point rising into a fire-nado. I was struck, could not take my eyes (through binoculars) off the inferno. The loss of human lives, of landscape and wildlife was so disturbing. I am reminded of the Scriptures in this context that you send; it is warmly and gratefully received. I write this in the face of biting anxiety and consuming depression. Blessed be the name of the Lord. He gives and He takes away. He has pity on us as a Father does. He will not put more on us than we can bear. Our fire shelters WILL hold up to any fiery trial we face in this world. I watched an instructional video on the use of fire shelters; there were many spiritual lessons there. 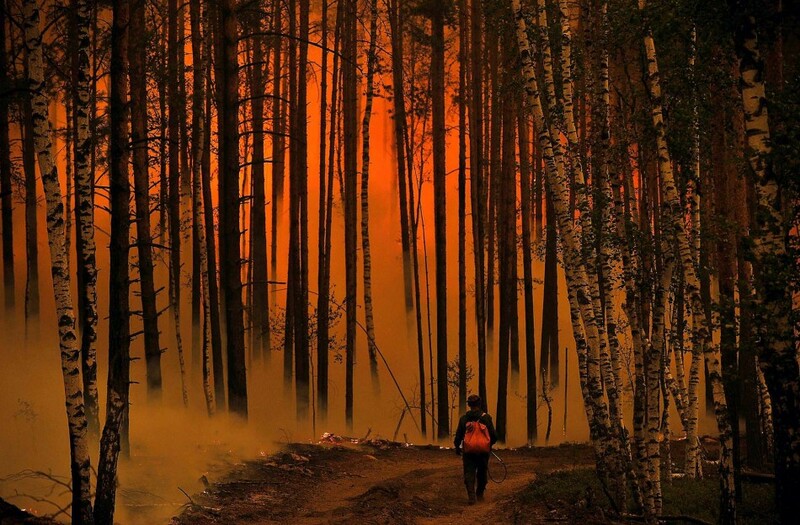 The unpredictability of the wildfire was, in that moment I watched, seductive to the point of fixation. I had to turn my gaze away and, with all my strength, turn it back to my God. He is Himself an all-consuming fire, Who will ‘back blaze’ the enemy for my salvation in the face of fiery trials. In the end, the trial of our faith is more precious than gold, and we will receive a crown of Life that will never fade away. Love to all fellow broken believers. You are not alone.